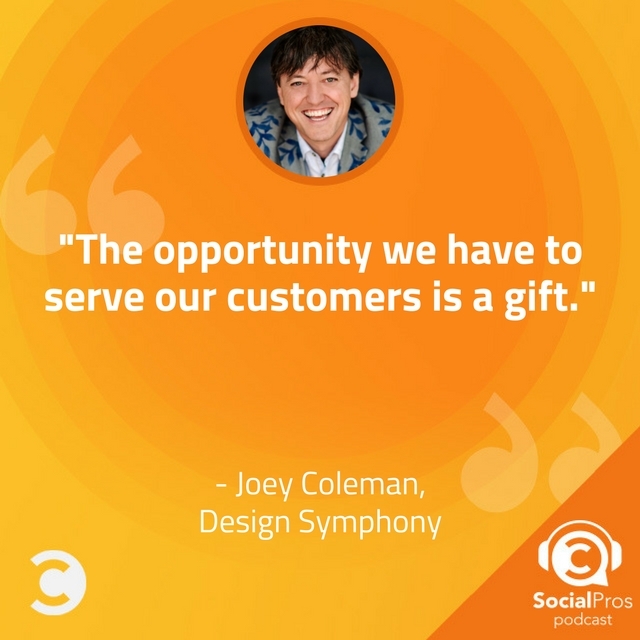 Joey Coleman, Chief Experience Composer at Design Symphony, joins the Social Pros Podcast to discuss ways to drastically improve customer retention through social media. It’s undeniable that the evolution of technology and the rise of automation has brought countless improvements to the way businesses are run. For many, however, it has also manifested itself as a double-edged sword. Day after day and year after year it seems that every new innovation brings us closer to an automated future. While that can certainly streamline many processes for your business, it has also left many consumers wishing for a genuine human interaction. This is the premise of Joey Coleman’s new book Never Lose a Customer Again: Turn Any Sale Into Lifelong Loyalty in 100 Days, and in it, he provides very detailed tips to making sure your customers feel that humanity. By working to ensure that your customers feel like they’re appreciated and part of a genuine relationship, you can build real loyalty that will last for years to come. Spend more time listening than posting! Joey would love to talk with Sting about his massive success and personal branding that has allowed him to pursue an interesting career over multiple decades. Jay Baer: Hey everybody. This is The Social Pros podcast. We talk to real people doing real work in social media. I'm Jay Baer, founder of Convince and Convert joined as always by my special Texas friend, the executive strategist for Salesforce Marketing Cloud, Mr. Adam Brown. Adam, heck of a show we've got this week. Adam Brown: It's always great to have our friends and followers of sorts on the show. Joey Coleman is one of those. New book coming out of course as many of our listeners know he co-hosts our sister podcast. Just some great insights on loyalty and how loyalty is changing and eight steps on how you can make sure that you are driving loyalty in your businesses and your operations. Jay Baer: Yeah, there's singing. He talks about how he's worked for the CIA. Talks about how he's been stopped by the police 81 times while driving. Tells an amazing story about Delta Airlines and three or four other great tales. The book is called Never Lose a Customer Again. It's out this week. Grab a copy, you'll be glad that you did. Before we talk to Joey, a reminder that this week's sponsors of Social Pros are Salesforce Marketing Cloud. 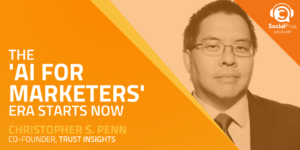 Social is more important than ever for business to business marketers, yet some B to B marketers have a hard time using social effectively and measuring results. A new complete guide from Adam and his team at Salesforce will help you. It's called The Complete Guide to social media for B to B marketers. It reveals the best types of content for each segment of your funnel, how to use Facebook, LinkedIn, Pinterest, Snapchat and more. How to discover the role of metrics, social listening, engagement strategies, all of which we talk about in this episode by the way in elevating your message and your results. Go to bitley/b2bsocialguide to download it right now for nothing. That's B2B social guide at bitley/b2bsocialguide. Also, this week this show again brought to you by our new friends at HYP3R, terrific location based social listening platform. 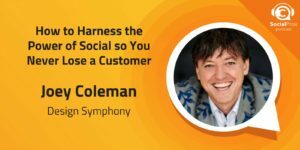 In this episode with Joey Coleman we talk about using social to mine customer background and be able to surprise and delight customers by learning things about them that transcend the business transaction. HYP3R is a great way to do that actually which is why it's used by brands like Marriott, 24 Hour Fitness, Norwegian Cruise Line, Hard Rock International, Golden State Warriors. What they do is they geofence their location and Hyper shows them all the social content being created inside that geographical location. Then they can reach out to those customers, prospective customers, interact with them in real time and blow people's minds. It is super slick. It is HYP3R. Go to hyp3r.com/socialpros to learn more. That's H-Y-P-3-R. H-Y-P-3-R.com/socialpros to learn more. Thanks as always to HYP3R. Without any further delay let's get to this week's episode of Social Pros starring Joey Coleman. 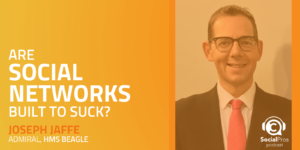 This week's guest on Social Pros is, he actually has won the best job titles of anybody I know. He is the Chief Experience Composer of Design Symphony Author of a book that just came out this week ladies and gentlemen that I cannot recommend to you highly enough. It's called Never Lose a Customer Again: Turn Any Sale Into Lifelong Loyalty in 100 Days. He's a friend of the program. He is co-host of our sister show, The Experience This Show. He is the one the only my friend, soon to be yours Mr. Joey Coleman. Joey Coleman: Wowza. Thank you for that glorious introduction Jay, I appreciate that. Jay Baer: That's the end of the show, that's all we got for you. Joey Coleman: That's so nice, That's so nice. Yeah, I feel completely fulfilled at this point. I need nothing more from the show. We should probably get something for the listeners but I am fully taken care of. Jay Baer: No, seriously, this book is so great. I have had the great good fortune of being sort of in the stands as this book has been created over the last year or so and it is rally, is a humdinger, it really is. It is a book that I will buy for people into the future over and over and over and over again because it is incredibly, incredibly useful. Anybody who has customers, which is pretty much everybody must read this book, Never Lose a Customer Again. It is so spot on, it is so useful. I'm just really, really happy for you and for the folks who get a chance to pick this up because they're going to be wearing out the highlighter on this one folks. Joey Coleman: Thank you, Jay. I really appreciate that. For all of the listeners, Jay is very modest when he says in the stands. Jay played a very instrumental part in this book coming into the world in the sense that he was kind enough to connect me to my agent who's wonderful, who is also Jay's agent. That led to the book being picked up by a traditional publisher, Penguin Portfolio and we're excited to be able to bring it to people so I can't thank you enough Jay for the role you've played. Jay Baer: Well, I am delighted to do it. If I have even one molecule to do with the success of this book I will take it. One of the things that you and I agree on, we agree on a lot of things but one of things we agree on. I know Adam concurs as well is that we have in business in general a greater than necessary emphasis on customer acquisition and a less than necessary emphasis on customer retention. The book of course talks about that. Why do you think that is? Joey Coleman: Well, there's a couple factors we have the human factor and then we have the business factor. So in the category of the human factor, all the research on the human condition shows us that human beings prefer the chase better than the catch. One only need to look to dating relationships to see that there seems to be a lot more attention, focus and effort put into the courting and the dating process then there does to the post-marriage process, right? Again, I'm not saying this is right or wrong, I'm saying this is generally how human beings are hard wired. As if that wasn't bad enough, when we get into a business setting the situation exacerbates. As a general rule, the highest paid employees in a business find themselves in the sales and marketing function. The lowest paid employees in the business find themselves in the account management or customer success function. 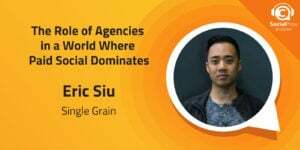 Additionally, if you do have a department that's about customer success or account management, chances are better than not that they report up to the person who heads the sales and marketing department, who then reports to the C.E.O., which means the voices are not carrying to the boardroom table as much as they could be. Which is only made worse by the fact that more than 50% of C.E.O. 's came up through marketing and sales, not through account management, not through customer experience, not through customer service. So we see that across the entire enterprise, there are a number of things that are just causing major issues with the likelihood of customer retention being any bit of a focus for the organization. 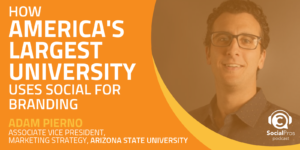 Jay Baer: I don't know that we can fix that with the book but I can tell you this, it will very much change the way you think about that balance inside your organization. 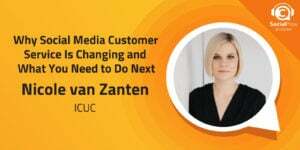 you may not be able to shift dollars around but you'll definitely be able to think about psychological emphasis to really say look, if you are losing customers, if you do have churn, that's not just a fact of life. I think that's one of the things that you really want to emphasize in this book that we just sort of say, well, will this replace that customer, oh well, we'll get another one. But that doesn't have to be that way, right? You can actually do something about it. You can in fact never lose a customer again. Joey Coleman: Yes. I think the best way to do that is to focus on the first 100 days of the relationship. What's interesting is all the research shows, regardless of what industry you're in, regardless of where you operate in the world, and I've studied hundreds of industries all around the planet, somewhere between 20 and 70 percent of your new customers will decide to stop doing business with you before they reach their 100 day anniversary. Now when I found this out for the first time I did some research and I found in the area of banking, I was blown away. I was like wait a second, bankers, financial services, the people that pay attention to the bottom line are losing 20 to 70 percent of their customers? They don't even have time to recoup the acquisition cost and so then they're running at a loss and this just compounds over time. As I started to look at other industries I realized the numbers were even greater depending on the industry you were in. So cellphones was 21%, restaurants hovers right at about 50%. Your auto mechanic is about 68%. Software as a service is 20% but apps are 80%. So there's a huge amount of customers that you bring to the front door through your marketing and sales efforts but as quickly as you welcome them in, they're running out the back door. What's scarier than the number being somewhere between 20 and 70 percent, to me is that the typical business has no idea what their churn rate actually is. So it's the kind of the secret killer that is causing most businesses to hemorrhage that they're not even aware of. Joey Coleman: Are we leading the witness here? I sense that might be being led a little but that's okay, I don't mind, I used to be a lawyer, I'm used to this model. Adam Brown: And he used to work for the White House, the CIA and the Secret Service and we're going to get to that. Joey Coleman: I did. You are correct, you are correct. Adam Brown: I'm curious. Are we less loyal than we used to be and for me one of things I'm learning at least in some the customers we're working with a Salesforce is loyalty seems to be more emotional than it used to be. It's not as much about product and service quality. It's some of these intangible types of things. I'm curious how all those things roll into what we can do during those first 100 days to make a more loyal value-driven customer or consumer who's going to come back. Joey Coleman: You're spot on Adam as usual. There's a couple of factors at play here. Number one, people are in many ways but again this is a sweeping stereotype but it holds true for the majority of consumers that they are less loyal than they've been in the past. The main reason for that is because there are so many options and the cost of switching to a different provider or different service is easier today that in any other time in human history. If we go back to the agrarian era, if you wanted to buy your grain from someone else than the grain mill in town, you had to travel to another town on a horse. It may take you a day to get there and get everything you need and get it back, it was a real pain. Now, if the product I buy from you isn't working well, I'll go on Amazon and buy one of your competitor's products and depending on where I live it might show up at my house today for free, no additional shipping costs. Adam Brown: You can mix with J. Walter Thompson there too because I still do that. Joey Coleman: Yeah, there you go, exactly. We're both dating ourselves now, that's great. But what their research shows is that customers are expecting a human interaction more now than they used to in the past. This is fascinating research to me because what it's saying is this drive to automation and systemization that has really been kind of the hallmark of most corporate endeavors, especially over the last decade but particularly over the last five years, the pendulum is actually swinging back and as a result what we're seeing is that customers are looking for the human interaction more. And because they're looking for the human interaction I think there's a great opportunity for us to focus more on these customer experience efforts as part of our customer retention, and as a result really lead the way into where humans have a tendency to be trending right now. Adam Brown: What does that mean for social if you're saying that the customers and consumers are preferring that one on one interaction, is social kind of fit that mold or does that mean that social now takes a different kind of, not sort of a back seat but a side seat to that actual one on one type of interaction. Joey Coleman: Well, I think social. I am fully cognizant of the fact that I'm on Social Pros right now, okay. So for full disclosure folks, I'm aware of that I am in the den. However, I am not a big guy on social as Jay will tell you. When I spoke at Social Media Marketing World last year, I took the stage with 147 followers on Twitter. By the way, we're up to 477 as of today. It's not somewhere where I put my focus and I put my effort. I think social has a role but I think most entities, most organizations, most companies are using social the wrong way. They're using it as a megaphone. They're using it to broadcast their message and their ideas and their wants and needs. Whereas I believe that social is best used as a listening device and a research device that allows you to jump in and see what really matters to your customers and then feed that back in a way that doesn't feel creepy but in a way that lets them know you're paying attention and you know what matters to them. So, is Social going away to answer the question? I don't think so. Is it going to take a backseat? For a lot of people I think it is. I think Twitter usage and Facebook usage and Snapchat usage numbers, especially if you look at what's been happening over the last year, at least the research I've been watching is showing that all those platforms are seeing declining engagement and declining usage. I think people are craving the human touch. They're craving the real world interaction and having it all be emails and tweets and status updates and likes just isn't going to cut it long term. Jay Baer: Let's talk about that human touch a little bit Joey. One of the things that's so great about the book Never Lose a Customer Again is all the rich storytelling that you engage in befitting your role as a public speaker. There's lots of really fantastic examples and I'd like you to touch on two because they're examples that I am personally aware of. I'd like you to talk a little bit about Derek and Melanie Coburn and CADRE and also the Baro Restaurant where you and I spent some time together. Joey Coleman: Sure so Derek and Melanie Coburn run a kind of for lack of a better way to putting it pay to play networking group in Washington D.C. You pay $6000 a year to be part of this networking group and they curate very actively who's in the group and they also curate who they bring in to speak to the group. They bring in all kinds of guest speakers, lecturers, do workshops, authors and they're constantly providing kind of an education avenue for the business owners that are in their group. Additionally, they provide lots of networking opportunities and the potential to do business with other people in the group because in some ways you're kind of vetted by your membership. If you're in the group it means Derek and Melanie think you're a good person and have good things to offer and it kind of helps with the initial decision to decide to do business with someone. What's really cool that Derek and Melanie do in terms of reaffirming the decision that the customer has made to join the group is they do a welcome call right after you become a member. Now what's interesting is there's a lot of businesses that do welcome calls and that's great. It's a great way to kind of have that personal, thank you for your business and we appreciate it. But Derek and Melanie do it a little differently. They have a welcoming committee which is made up of existing members and full disclosure I'm a member of this committee. What happens is when a new member joins the group they introduce them to a member of the welcome committee, who then the welcome committee person does the welcome call. Thanks them for joining. In my case, whenever I do those calls I explain here the three things that you're going to want to do in the next three months to get the most value out of your membership. Here are the two things you're going to want to avoid doing at any cost because doing them will cause you all sorts of problems in the membership. And if there's anything that you've wanted to ask about the membership that you felt uncomfortable asking Derek and Melanie, you can ask me, it's totally off the record and I'll shoot straight with you about the pros and cons of what works and doesn't work. What they have found is this has led to a 90 plus retention and renewal rate year on after year on, and Derek and Melanie are also quick to point out that they actively remove people from the membership who aren't a good fit. So the number is actually higher in terms of the retention of the people they want to retain. But what this personal human touch to me shows is that even in an era with emails and text messages, sometimes the old fashioned picking up the phone and having a conversation really makes a difference. The surprisingly cool thing about this story though is the impact it has on the new member. Not only because they feel welcomed from the call but when they show up for their first networking event, they walk into a room where they already know someone. Now, I don't know about you guys, I skew more towards the extrovert side and still when I walk into a room where I don't know anyone I'm kind of hoping that there is someone there for me to strike up a conversation with. The fact that in this scenario we will know already who that person is it gives us the opportunity to start the relationship off much better and feel part of the community much faster. Jay Baer: I love that and I've actually had the chance to speak at the CADRE group a couple of times and what a spectacular collection of individuals. Now Joey, you took me to a restaurant recently, you and I were together in Canada and it's an extraordinary, extraordinary example of that kind of human touch that you were talking about. But what's amazing about it is the individuals don't even know that this human touch is being deployed until afterwards. It's almost like Spycraft. Tell us about Baro Restaurant. Joey Coleman: Yeah, so Baro Restaurant is a fantastic kind of Cuban fusion restaurant in the heart of downtown Toronto. Incredible restaurant that Jay and I had the chance to eat at and is a featured case study in the book. The thing that I love that Baro does, and Michel Falcon who's one of their partners, he and I talked at length about all the things they do and they do some incredible things. They send videos after you've been to the restaurant. The owners pick about 10 patrons per week to send a customized thank you video. They do research on social media in advance of your showing up at the restaurant so they can see what's going on. They had an instance where somebody had booked brunch there for a baby shower and the hostess went out while they were there to purchase some gift cards and some baby items and then had the server deliver those at the end of the brunch. So they're constantly doing these really incredible special things. The one I talk about in the book which I found really interesting is they have two different colored menus. They have green menus and they have blue menus. If it's your first time in the restaurant you get a green menu and if you've been in the restaurant multiple times, if you've been a guest before, you get a blue menu. Now what this does is the customer has no idea that there are different colored menus. I mean, they may see that other people at the table have different colored many as but because of the nature of the eclectic Latin American flair of the restaurant you just think part of the decoration, it's nothing special. What it allows the waitstaff to do is to acknowledge people who've been there already and welcome people who haven't. So, I don't know about you guys but typically these days you go into a restaurant one of the first questions the waitstaff asked you is have you dined with us before. This eliminates that question entirely. And if you're a regular diner and you get asked that it's a pretty sobering observation on what your loyalty is really worth, right? Baro has gotten around that by they'll hand you the right colored menu and then they'll say, "Oh, it's so great that you're back to see us again Mr. Coleman. I see you're bringing some friends who are here for the first time. What has Mr. Coleman told the folks about Baro?" This completely changes the conversation from the very outset of the first interaction with the waitstaff. It only accelerates from there as everyone else who works at the table, the servers, the bus folks, everybody who's helping with the presentation, the preparation of the guacamole at the side of the table, whatever it may be, they're all able to look and tell who at the table is a first timer and who's a veteran and position their messaging accordingly. Jay Baer: That's such a fascinating kind of use case and I'm looking forward to reading Never Lose a Customer Again for that specific one. That's such a simple thing. Joey Coleman: It's a little thing and it takes nothing, you're right, and yet it makes a huge impact. What a great way to help your employees understand that they're part of the experience too, that it's not just the hostess, it's not just the waiter who's taking the order, it's literally everyone in the restaurant. And they have kind of an open kitchen concept so even the chefs that are preparing the food can look at the tables and know whether they're preparing for a table of veteran customers or first timers. Adam Brown: It's such a simple hat tip to the customers who are indeed being loyal to you. So I'm going to put you on the spot there because I love that, Joey. I'm curious, if we take that idea into traditional marketing and communications including digital and social, what are the things that we can do like that? How can we treat someone who's liked and engaged maybe some of our social media post differently than someone who's a new follower? How do we begin to interact with someone when it's their first interaction with us with a direct message or a Facebook messenger or something like that differently than someone who's had many engagements with us? These are the types of things so oftentimes when I talk to our customers, they when they go shopping, when they go to a restaurant like Baro, when they see types of things like that, it really resonates with them. But when they're actually managing or orchestrating or leading social media team sometimes they kind of forget that. So, all I want to do there is reinforce to our listeners how to think about doing very simple things differently and recognizing and rewarding loyalty. It's just like I know you Joey and Jay we all travel a lot, we're members of a lot of high loyalty programs and every time I walk into a Starwood or a Marriott and they say Mr. Brown, thank you for being a gold or a platinum member or customer, and it means a lot. I know it sits right there on their screen for them to read but they do it. Joey Coleman: But they read it. Joey Coleman: That's the thing. Like it's right in front of them and they use it. This is the thing that drives me absolutely insane about so many businesses. They have the data. They know and they don't do anything with it. So I fly Delta Airlines and Delta, there are 46 case studies in the book, companies, small, medium and large. One of the companies I talk about is Delta because I'm a loyal flyer, I love their airline. I recently had the pleasure of qualifying for Diamond level status on Delta, which basically means I spend more time up in the air than I do on the ground. 125,000 plus miles a year flown on Delta. What was really cool is the very first flight, and as a result it means I get upgraded a significant amount of time which I am very appreciative of and is wonderful. But after you've been upgraded so many times, not to sound egotistical or kind of first world problemly, the sheen wears off a little bit. It's still nice, don't get me wrong, I love it and please keep doing it Delta, thank you but it's not as unique an experience. But right after I made Diamond I had a really interesting experience that I don't get a chance to talk about in the book. But what happened is as we were preparing to land after my first flight as a Diamond, the flight attendant who'd been taking care of the first class cabin during that flight comes up and kneels down next to me and says, "Mr Coleman, if I'm understanding correctly, this is your first flight as a Diamond with us." I said, "Oh, actually, you're correct. And he said, "You know, I appreciate your loyalty. We appreciate your loyalty. We know that you're not spending as much time at home with your friends and your family as you would like because you're up in the air with us. I hope you think of us as your friends and family up here and know how much we appreciate and value you continuing to be a loyal customer." It was a 10 second conversation that I've told that story two dozen times, right? I know Jay has some great stories about being on Delta and to your point, it's these little things. I think the secret is because you asked the question early on like okay, well, how do we do this more, how do we actually implement because these are interesting case studies and stories to hear but sometimes when we get back into our day to day lives it's hard to live them. I think it's really about a mindset. So the first 100 days concept that I described, it's a method, it's a system, it's a philosophy and it's a methodology and it's a mindset. What I mean by the mindset is you really need to recognize that the opportunity we have to serve our customers in our business is actually a gift. It's a gift to be able to serve another human being. I think all too often we get caught up in the headache of running our businesses instead of stepping back and saying okay, what can we do to actually make sure that our customer feels appreciated, that they feel that we care, that they don't just hear it in our words and our marketing messaging and our email auto responders but that they actually feel like they're an individual and they matter. Jay Baer: In honor of what you're talking about, rewarding the people who reward you, a shout out this week a loyal Social Pros listener, Ronnie Cole who is listening to the show every single week for years. Ronnie, we love you, thank you so much. Yeah, Ronnie is the man. One of things I love about the book is how it's structured. It's very, very linear maybe because you're an attorney and very easy to follow. And so there's eight phases of your approach, each phase starts with the letter A. At the conclusion of each phase is a section that you have in essentially every chapter called the six things that you can do to accomplish each phase starting tomorrow. And so literally you break it down for people at almost the atomic level to say okay, if you want to be better at this than here's how you do that in email, here's how you do that in social, here's how you do that on the phone, here's how you do that with gift-giving. It is incredibly practical and specific and it is a book that is so much more useful than most other books about customer experience and customer service as a result of that. Obviously that was an intentional move on your part but can you talk a little bit about the phases and how they work together please? Joey Coleman: Absolutely and I'm and I'm so glad that was your takeaway Jay and it certainly was my goal in writing the book. I didn't want to be, you know, as a speaker I've always been one of those folks who I never wanted to be the speaker who said well, here's a theory and you should try it in your business and I had never tried it myself or had never had any clients that tried it. So to me, I believe there are three types of speakers. There are speakers that make you think differently, speakers that make you feel differently and speakers that make you act differently. I tried to translate that same philosophy into the writing. While I certainly hope to make my audiences think and feel differently, if they don't act differently, I personally believe that I've failed in my mission. And so the book really is designed to be a blueprint for how to create an onboarding system that will allow you to deliver a consistent remarkable experience again and again. So you mentioned there are eight phases, right? So when we look at our customer journey, every customer, regardless of whether you sell product or service, you're national or international, small, medium or large, every customer that does business with you has the potential to go through eight phases. But they will only go through all eight phases if you hold their hand and help them navigate through each one. So the eight phases breakdown as follows. Phase number one is assess. This is when a prospect is considering whether or not they want to do business with you. Lots of times we refer to this as marketing or sales right and sometimes this can be a second at the checkout line when they're making an impulse buy or it can be weeks or months of RFP's or even years before they decide to do business with you. The assess period, it doesn't matter how long that period is, it's just that we're all cognizant of this is where the customer's getting their first exposure to what the experience of doing business with us is going to be like. Then we move to phase two, admit. This is day one of the first 100 days. This is where the customer acknowledges that they have a problem and believe you can help. They transition from being a prospect to a customer. They think that your product or service is going to answer their problems, is going to solve their issues, is going to be what they've been looking for. What's crazy is right after this day one, when they either sign the contract or they hand over the money and they officially become a customer, they begin to doubt the decision they've just made, which takes us to phase three, affirm. In common parlance, this is buyer's remorse. This is where brain science shows us that even though they were really excited about this decision and they had joy, euphoria and enthusiasm because of the dopamine flooding their brain when they made the purchase decision, as that dopamine recedes, it's replaced by fear, doubt and uncertainty. What if this product really doesn't live up to all its hoped for? What if they don't deliver on the service that they promised? What if that guarantee isn't the way it was promised to me during the sales process? What if I just kind of fell for the fact that the salesperson was flirting with me? What if this goes south, am I going to get fired? And their brain starts spinning out of control. Now what's amazing to me is if we were to ask everybody who's listening to this episode right now to raise their hand if they've heard of the phrase buyer's remorse, almost every hand would go up, if not every single hand. And then if I were to ask, now great, how many of your businesses have a specific process in place to counter your buyer's remorse? Less than one percent of the hands would go up. So there's a huge opportunity right here at the beginning of the relationship where most businesses are falling apart. We then go to phase four, activate. This is where the relationship officially kicks off. Most businesses think this is where the relationship starts when in reality it started two phases ago, even three phases ago. But at this stage they're opening the product that you've provided them or they're having the kickoff meeting if you're a service or the service is starting to be delivered. In the activate stage you want to energize the relationship and lay a foundation for what your work together is going to be like. You want to show them that doing business with you is going to be unlike any other business experience that they've ever had. Then we translate or transition rather, then we transition to Phase five, the acclimate phase. Now what's fascinating about that acclimate phase is that this is where most businesses go off the rails. In the acclimate phase, you have to help your customer get familiar with your way of doing business. So you've delivered your product or service hundreds or thousands or hundreds of thousands or maybe even millions of times but for this new customer, this is the first time they've ever done business with you. They have no idea why you're doing the things you're doing and what comes next. Now some of you may say, well Joey, we wrote about it in the proposal, it was in the directions. Folks, you don't read all the proposals you sign and you put stuff together without the directions. Why do you expect your customers to behave any differently? We need to hold their hand and acclimate them to the various phases, letting them know what we're doing in this moment, why we're doing it and then what comes next, how it's setting us up for success in the future. We then come to phase six, the accomplished stage. This is when the customer achieves the goal that they had when they originally decided to do business with you. Now, any time a customer decides to buy a product or sign up for a service they have a goal in mind. The problem is most businesses don't take the time to actually figure out what that goal is. Or if they do figure out what the goal is, they don't record it and track against it so that when the customer actually achieves that goal they can celebrate with the customer. Because nine times out of 10 the customer's going to forget what their original goal was if we don't remind them. And anybody who's been in business for any amount of time knows how when we get into relationships we find ourselves in a situation where we've achieved what we thought the customer wanted but they seem to have moved on to another goal. So we want to track those goals and make sure we're accomplishing them. If we do that in only if we do that, we have the chance to go to phase seven, adopt. This is where the customer becomes loyal to you and your brand, right? They decide that they're going to do business with you and only you going forward. And then and finally we're able to transition to the last phase, phase eight, advocate, the Holy Grail, when they become a raving fan, referring their friends colleagues and other business associates to you. This is what every business is striving for. The problem is most businesses are trying to jump from one of those early phases all the way to the end of the relationship. It's like asking to meet the parents on the first date before the entrees' been delivered while you're having a dinner date. It's just not a recipe for success. We need to make sure customers go through all these phases before we get to those referrals that end up being the lifeblood of our business that grows our business in a way that we don't have to spend as much money on marketing and sales, which by the way makes retention an even more profitable activity. Jay Baer: I have written a bunch of books and in fact a bunch of books that have systems like that, six steps, eight steps, you have eight phases. The reality is sometimes you get to like six phases and you're like, all right, I got to come up with two more phases. But I got to tell you, in Never Lose a Customer Again, every single one of the eight phases is absolutely a must. You've done an amazing job Joey. They're gold, it's gold, Jerry. After you’re through the eight phases though, you have a really interesting almost sort of micro section of the book that is incredibly useful, is the get started implementation guide. It's like, okay, now that you've read sort of why this is important and you've been inspired by some case studies here's exactly how to handle this. And you talk about in several areas how to use social media to research your customers better, to learn more about them, to surprise them, to delight them. Can you talk a little bit about how people can use social to build those sort of bridges of humanity and recognition? Joey Coleman: Sure. As I mentioned earlier, I'm not a huge social guy but that doesn't mean I don't see great value in it. Once we realize as you pointed out that these eight phases are important and we need to start doing something about it, start acting on this, the next question is okay, how do we implement, what do we do. I break it down into a series of steps, the first one of which is investigate. I think the leading edge companies, the companies that will succeed in the next decade and beyond are the companies that know a ton about their customers and they investigate their customers. Not in a creepy way, but in a way that, you know, one of the crazy things about social is many, many people if not most of your customers are on social and their profiles are wide open, right? So they're in a position where they're sharing all kinds of things about their likes, their dislikes, their families, what they had for breakfast yesterday, where they're going on vacation and they're doing that publicly. We live at a time in history where is it is easier to have customer intelligence than at any other time in the history of business, and yet most businesses aren't fully capitalizing on this. So one of the things I really like is companies that pay attention to investigating their customers, to using social media to figure out what their customers are doing. I think an interesting case study of this comes from the incomparable Taylor Swift. So Taylor Swift has millions and millions and millions of fans. Some people might look at that and say, Joey, there's no way she can research all of them. And you're right, she couldn't, it would be impossible. But what she does is every year, she started this a few years ago and every year around the holidays she does Swiftmas, Taylor Swift's version of Christmas, where she goes online and she picks about 20 or 30 of her fans who have liked her Facebook page or hearted something that she tweeted or somehow interacted on social and she starts researching them. She finds out what's going on in their life and then she puts together gift packages for them. So for example, one person had talked on Facebook about how they were struggling to get their student loan paid off and she sent a check to pay off their student loan. Another was talking about how a friend of theirs had had a real difficult year and they were trying to come up with something special for her for Christmas and Taylor decided to do a special day for both of them where she sent them some clothes, she sent them to the spa, she did all kinds of like special little treats so they could enjoy it together. Most of the packages included, all of the packages included a handwritten letter from Taylor where she talked about the things that were going on in their lives to kind of give context to the gifts that she was giving them and also thanked them for their support. My personal belief is that if Taylor Swift with millions and millions of fans can create a personal connection with her customers by investigating them on social media, every other business on the planet has no excuse. Adam Brown: I've always thought what Taylor Swift did with her kind of random acts of Swiftness was interesting. I like the fact too that while Taylor Swift is a very wealthy young woman and she has the wherewithal to do that, there are so many things that brands and organizations can do that cost absolutely nothing. Just like you said Joey with the Delta Airlines flight attendant who knelt down next to your chair and said thank you, thank you for being a customer, it really means a lot. So, that's I think a big huge takeaway from what you talk about and what your book Never Lose a Customer Again really, really talks about. Thank you, thank you for that. Got a question for you. As you can expect as that's kind of what Jay and I do here on the show and by the way with your hosting duties you know how this game is run. We like to spend a little bit of time talking about your origin story about how you actually got here. I have to tell you, your origin story is pretty damn interesting and entertaining. When you start using the word investigates in your overview of kind of what Taylor did and what Baro Restaurant did, it has a different meaning I think now we know what your background is, not only Esquire but having worked in the White House, worked with CIA and the Secret Service. So I got to ask you, tell us a little bit about that and how does that experience change the way that you look at customer service customer loyalty and all these tenets of marketing and communications that we're talking about today. Joey Coleman: That's a really interesting question Adam. When I was going through it, when I was kind of transitioning across all the different careers I've had, I didn't leave any career because I hated it, I left because I found a different thing that I liked doing even more. So, I went from studying government in and international relations in undergrad to studying national security law and criminal defense and trial law and international law in law school to doing business consulting and during that time I had stints with the White House and the Secret Service and the CIA and then I was a criminal defense lawyer and then I taught for a while and then I ran a promotional products company then I ran a branding agency. In each of these positions, hindsight being 20/20 I realized that there was a common thread that connected all of them. And that common thread was that in order to truly succeed in any of those careers you needed to have a keen understanding of the human condition. Why do people do the things they do and then what can we do to make them do the things we want them to do? That was the thing that I learned in each of those positions. I learned what causes human behavior, both from a scientific and psychological point of view as well as just kind of an emotional and behavioral point of view and what can we do to kind of navigate humans in the direction that we want them to go, hopefully for good but at the very least you know being cognizant of what factors we can bring to bear to influence their decision making process or their behaviors. And so I think that was the common thread that tied it all together. Joey Coleman: Oh boy, oh boy. Yes I did sing in the Notre Dame glee club. Jay Baer: I thought that maybe here towards the end of the show we could just get you to hum a few bars of a little ditty or something. Joey Coleman: You know, I think we could definitely work something out, that would be fine. I love it when I go on the podcast and it's like, hey, we want you to sing on the podcast. See, normally, I had the pleasure of singing with about 50 or 60 other guys in an all male chorus. Occasionally I would do stuff on my own but yeah, usually it was kind of blending in. Because I sang first tenor, which if you're familiar with kind of how a chorus works, that's the highest male voice bar, I rarely had the melody. I was just the one that it usually sounded like wait, there are women in this choir? Oh no, that's three dudes that are singing first tenor and it makes it sound like there's a bunch. It's a process. Jay Baer: The other thing I did not know about you until I did the research for this week's episode of Social Pros is that you have been pulled over 81 times while driving. I presume that your next book will be Never Get a Ticket Again. Joey Coleman: It very well may be, it very well may be. Ironically enough you're right. The count is 81. Adam Brown: Does a White House, CIA and Secret Service experience help then or hurt? Joey Coleman: You know, it's so funny and it's going to sound like this is a pretty formulated answer but it's not, but it goes right back to that human condition conversation. The secret is empathizing with the journey of the law enforcement officer while you're on the side of the road. So I have a lot of respect for law enforcement officers even though I used to be a criminal defense lawyer, even though I've been pulled over 81 times, people might look at it and go oh, he has no respect for the rule of law or authority. Couldn't be further from the truth. I just have a tendency to be running behind pretty often and need to step on the gas to get where I'm supposed to be on time. So that's usually what was happening. The moral of the story here is if you can anticipate the emotional state of the law enforcement officer on the side of the road who's thinking about whether they want to write you a ticket or not and acknowledge that and show some humanity and connect with them in a personal way while you're dealing with the adrenaline of your blood rushing because you saw the lights in the rear view mirror and you're realizing you might get a ticket, it changes the conversation completely. I've got to give a lot of credit to my dad. I grew up the son of a criminal defense lawyer. From a very young age I understood that there were a lot of police officers out there that were just doing their best to do their job but that they also weren't perfect. And so, my goal on the side of the road was to kind of remind them that what they thought they were seeing or experiencing might not actually be the case and that it would really be in everyone's best interest if they let me go without writing a ticket because if they wrote a ticket that was going to create all kinds of additional paperwork and then we were going to have to go to court and basically just speaking to that basic human condition that no one likes to do paperwork and people in all professions feel overworked and underappreciated. Adam Brown: Now, I have to ask the follow up question there very quickly and it's just a number. Of those 81 times you've been pulled over, how many of those have not resulted in a ticket infraction or some sort of as you said paperwork? Joey Coleman: Sure. So, I'm going to answer it a little bit differently because I'm not particularly good at math. So I've been pulled over 81 times. Six times they've written a ticket on the side of the road and three times that ticket has stuck after we went to court. Joey Coleman: Moral of the story is there are three infractions on my driving record despite 81 stops. So, feels like my batting average is pretty good, I'm feeling pretty happy about it. Adam Brown: I think just about anybody listening would hope and pray for a for that batting average. Joey Coleman, so great to have you on the show. I hope everyone listens to Joey's sister podcast but also picks up Never Lose a Customer Again, a great book. Joey, we're going to end the show like we end every one of our 300 plus episodes with the two big questions. Joey, are you ready for the questions? Joey Coleman: I am ready for the big questions and Jay I want you to know I have not dodged your question, I will sing us out if you would like. Adam Brown: That is totally up to you my friend. Question number one. If you could give anyone a tip on being a social pro what would it be? Joey Coleman: I would say the best social pros spend more time listening on social than they do projecting on social. So I would use social as a great way to connect with your fans, your followers, people that DM you and really connect with them in a meaningful personal way that tries to create some emotional connection instead of just saying okay, how can I schedule my next piece of content to go out. Adam Brown: Joey, I love it. Fantastic answer. Fantastic tip. Last question for you sir. If you could do a Skype call with any living person and lots of humor here. You can do this as a song, sing with this person or are just a standard voice response, not using melody, who would it be and why? Adam Brown: It changes things, doesn't it? Joey Coleman: It really does. The deceased is out there. I think the person I would most like to have a conversation with would be Sting, formerly of the band The Police. The thing I would like to ask is I think Sting is a really, an interesting character. He had this incredible career as part of the band, he had this incredible career as an individual performer. He's still going and he's exploring all kinds of interesting things with his business and kind of with the different projects he's working on. So I'd love to just talk to him about kind of personal branding and how you evolve a career over the course of several decades in an interesting way. Adam Brown: And how you evolve from being primarily a bass player, who's usually the guy kind of in the back of the band to being the lead performer and certainly as you said, he has so diversified his musical performances, use of instruments, different themes and cultures, really interesting. I like that. We've never had I think Sting before, at least since I've been doing the show. I couldn't agree with you more. Joey, thank you so much for being on the show. Hope everyone will pick up Never Lose a Customer Again and thank and appreciate every single one of you for listening to our show. It means a lot to us. As Joey said, loyalty is everything in this business. Joey Coleman: Indeed. My pleasure, Adam. If I may, I'll take us out because I know Jay would want me to. I'll take us out with a little, let's see if we can tie this all together with some Sting lyrics that have to do with paying attention to your customers, hopefully not in a creepy way. All right, we'll take it out. Thanks for having me on the show guys, you're the best.